New from Woodcracker is a New and Larger Whole Log Splitter, the L1200. 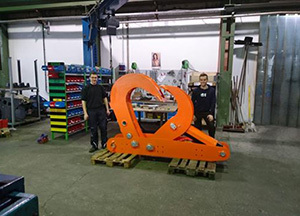 Expanding the line of “L” series splitters suitable as a stand alone machine, or mounted on a loader, The L1200 brings 33 tons of splitting force with an opening of over 47 inches. Woodcracker releases new products for 2017, announces new relationship with Mecalac of North America. 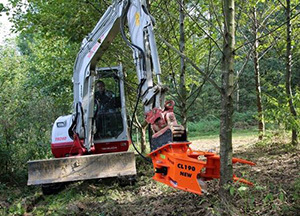 Engineered and manufactured in Austria, Woodcracker extends its line of land clearing tree shears with its’ model CL 190, a compact, affordable shear designed for mini excavators in the 2.5 – 7.5 ton range. Suitable for harvesting bushes and small trees up to 10 inches in diameter.